You are here: Home / Evidence-Based Living / Why Do Youth Self-Injure? Self-injury is defined as harming oneself on purpose, but without the intention of committing suicide. Research finds that about 17 percent of adolescents harm themselves intentionally. Girls are more likely to begin injuring themselves at a younger age, and use more serious forms of self-injury. Boys are more likely to injure themselves when they are high or drunk, or when they are in a social setting. A new systematic review published earlier this month looks specifically at the reasons that youth injure themselves. 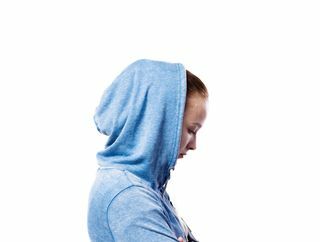 Researchers from Norway pulled together the data from 20 studies on self-harm in adolescents to find out what makes young people harm their own bodies. They found four main reasons that adolescents harm themselves. First, young people believe self-harm provides relief from their emotional difficulties. They describe self-harm as helping them to feel better about themselves, to feel alive, or to help them produce positive feelings. Second, the reviewers found a pattern of adolescents trying to avoid or gain control over negative feelings such as anger and frustration. Third, they found some adolescents self-harm to cope with feelings they don’t believe other people will accept or to protect others from negative feelings. Lastly, the reviewers found that some youth use self-harm as a way to connect with others; often, youth who self-harm will connect online and feel as though they have found other people who understand them. Related to this, some youth self-harm as a cry for help. Janis Whitlock is a research scientist in the Bronfenbrenner Center for Transnational Research and director of the Cornell Research Program on Self-Injury and Recovery. She says the new review provides important validation for the idea that youth who self-injure do so to feel better. Whitlock’s laboratory offers a range of resources for people who self-injure, their caregivers, and professionals working with you. You can find out more about self-injury and how to help at the Self-Injury and Recovery program web site.